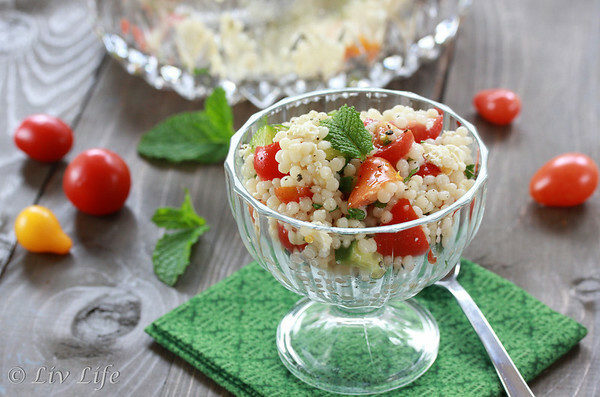 Fresh and clean, and filled with summer, this salad becomes the perfect pot luck dish. Cook couscous according to package directions, immediately rinsing with cold water when finished. Allow to cool completely, then place into a medium bowl. Add the onion, cucumber, tomato, parsley and mint. Stir gently to combine. Drizzle with olive oil and lemon juice, stirring gently again to thoroughly combine. Chill. When ready to serve top with crumbled feta and freshly ground pepper. Garnish with a leaf of mint. 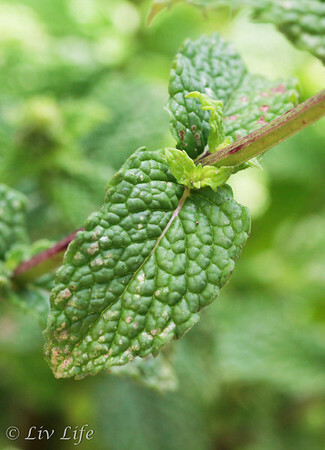 Liv Life Note: For more info on growing your own mint see this post on Backyard Gardening. I love mint and my husband hates it! For the very reason you have stated, it has a mind of its own and takes over a yard. 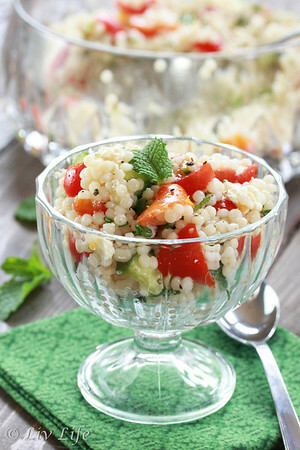 :) Your couscous looks wonderful Kim, such a yummy summer treat! Looks so colorful and yumm...perfect recipe.